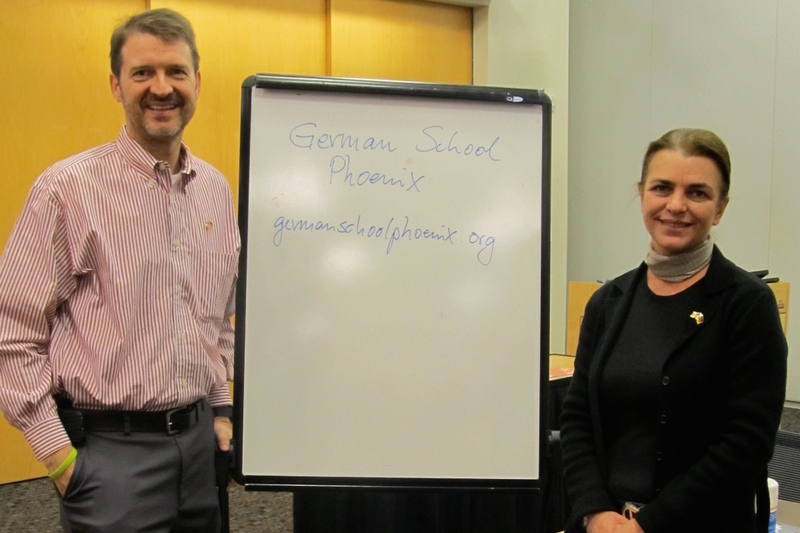 Two German School Phoenix staff members were guest speakers for International Education Week at Rio Salado College. On Tuesday, November 18th, Director Dierk Seeburg and Instructor Doris Neyestani talked to students about German life and culture. 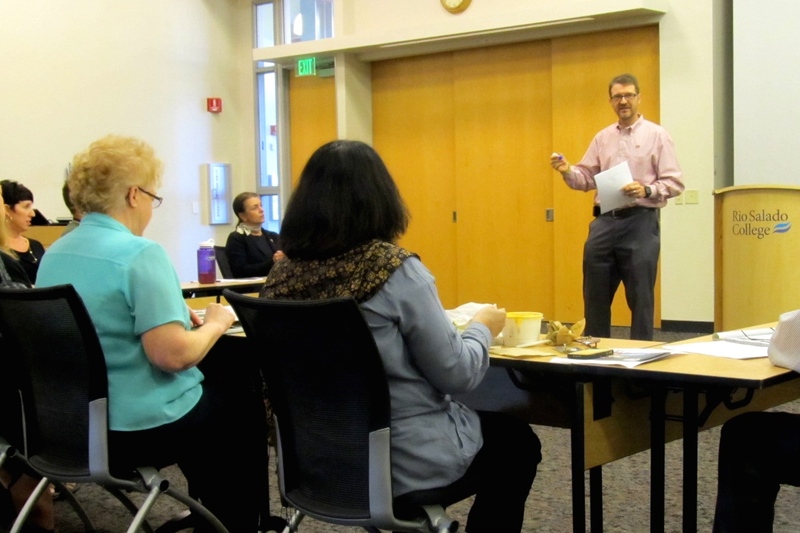 The presentation took place over lunch, for which the Rio Salado Cafe featured a variety of German foods. 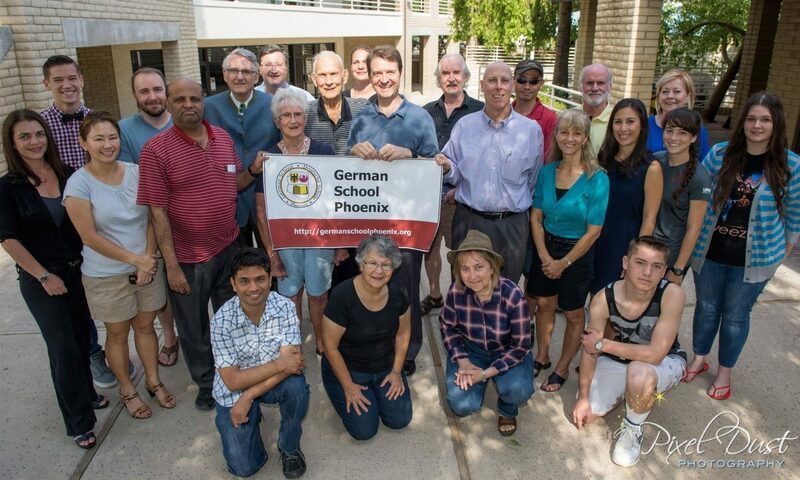 Thank you again for giving me the opportunity to present at the September 2014 DANK membership meeting on behalf of the German School Phoenix. It was great to meet all of you and speak to you in person about our cause and efforts to grow our school. Your president Jerry Wood was kind enough to let me know that you have decided to extend a grant to our school in the amount of USD $200. We thank you for your financial support and appreciate you taking the time to listen to our plans for the school. The funds will help prepare and distribute useful and approved material related to the German language and culture to the German School Phoenix. In addition, we hope to use some of the money for professional development of our teachers to attend to a local conference. By supporting the German School Phoenix you have chosen to fulfill part of your organization’s educational mission. Your action will help preserve the German language in the United States and prevent it from being eliminated from many schools, leaving Spanish and French as the only available choices. By sponsoring the German School Phoenix you are supporting German language studies and promoting the teaching of German culture, arts, music and sciences. 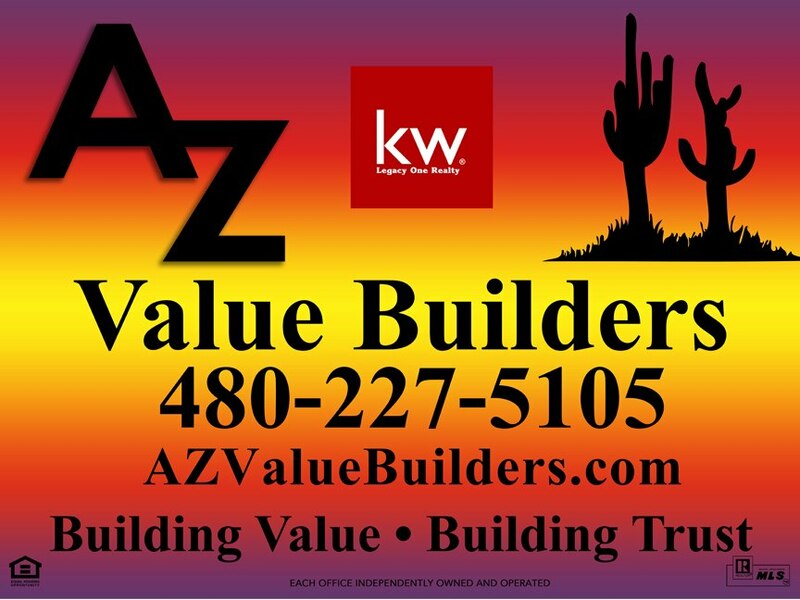 We appreciate the trust you put in the German School Phoenix, its leaders, teachers, administrators, and volunteers, and we will honor that trust by putting forward our best effort to fulfill our mission to be the best little German school in the West.